The 15 Marines and a Navy sailor killed in a plane crash Monday in Mississippi came from all over the country, including Florida. 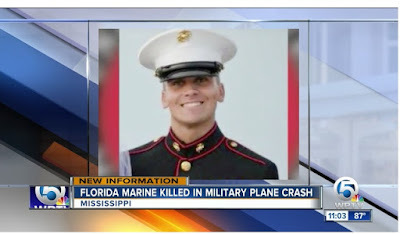 Six of the Marines and the sailor were from an elite Marine Raider battalion at Camp Lejeune, North Carolina. Nine were based out of Stewart Air National Guard Base in Newburgh, New York, home of a Marine Aerial Refueling and Transport Squadron.